The signature 11-degree Salsa sweep, consistent and confidence inspiring. Salsa comes flying back into the carbon bar arena with the new Salt Flat. Designed for a broad range of uses, the Salt Flat comes in trimmable 750mm and 800mm options with 11-degree back sweep and 6-degree upsweep. 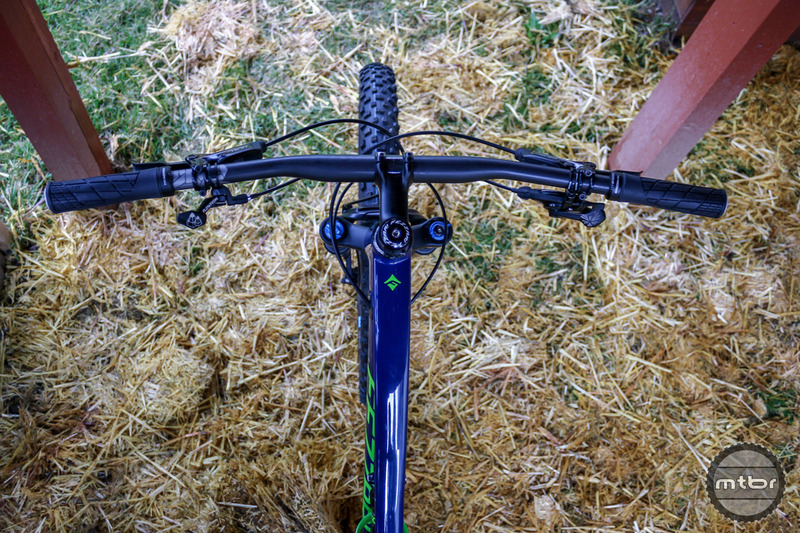 Handlebars are one of the most personal pieces of equipment on a mountain bike. They affect steering, reaction time, and rider confidence. Picking the right one is crucial and could be a costly mistake if you overlook subtle differences. 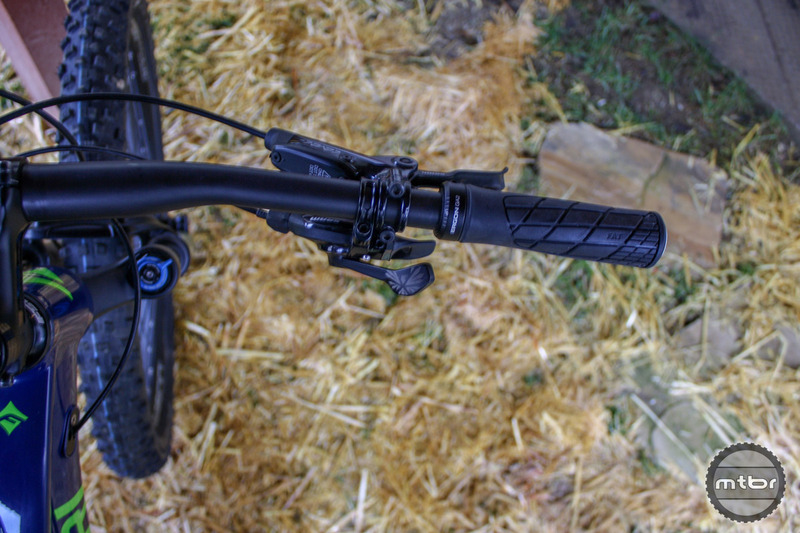 The rider’s view of the Salsa Salt Flat carbon bar. Salsa is known as an adventurous brand, making bikes and gear best enjoyed deep in the woods or way off the grid. 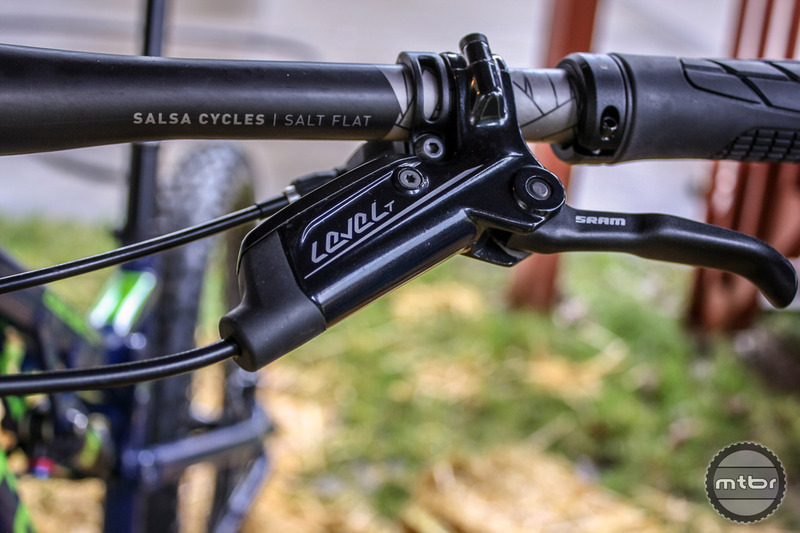 That sentiment comes through loud and clear with the new Salsa Salt Flat bar. Unlike conventional carbon flat bars, the Salt Flat is designed not only for singletrack, but also touring and exploration. The shape of the bar lets you know this, with its more extended section from the stem that covers 140mm, allowing on-bar accessories and even touring bar ends. The silhouette of the Salt Flat is consistent, without sharp bends or tweaks. And the updated graphics package that coincides with Salsa’s new stem and alloy component line are top-notch. 750mm is a lot of bar but you can trim it down no problem. The 750mm width is more than I usually ride with, but I decided to install these test bars on a Fezzari Cascade Peak, which is more playful than my race bike. The width took some getting used to, but after I adjusted, I could tell it helped my steering and gave me confidence in the roots and off the drops. The 11 degrees of sweep also took some time to get used to. I even went as far as changing my stem length from 80 to 90mm to accommodate the reach change. I later switched back to my 80mm stem and embraced the adjusted position. After some longer rides I could tell it wasn’t the position that changed, but the way the bike drove in and out of tight corners. I liked the sweep more on open sections of trail where I could open the throttle and carve big turns. Bombing down double track and hitting features were where the Salt Flat bars really shined. On long pedal heavy sections of fire road my back felt open, shoulders relaxed, and I was able to push hard on the pedals. I attribute this to the 11-degree back sweep and the more casual position it avails. The geometric styling is cool and subdued enough to match most bikes or components. On long rocky sections and continuous drops, the Salt Flats felt a little twangy, but this could be from the length and my affinity for 720mm bars. Riding to and from trials, the Salt Flats were very comfortable and soak up road vibration. I can see how they would make an excellent option for touring and long distance cross-country exploration. Bottom line, the Salsa Salt Flat carbon bar is a solid option for those looking to shed some bike weight, and the 11-degree back sweep could help those who experience lower back pain while riding for prolonged periods of time. 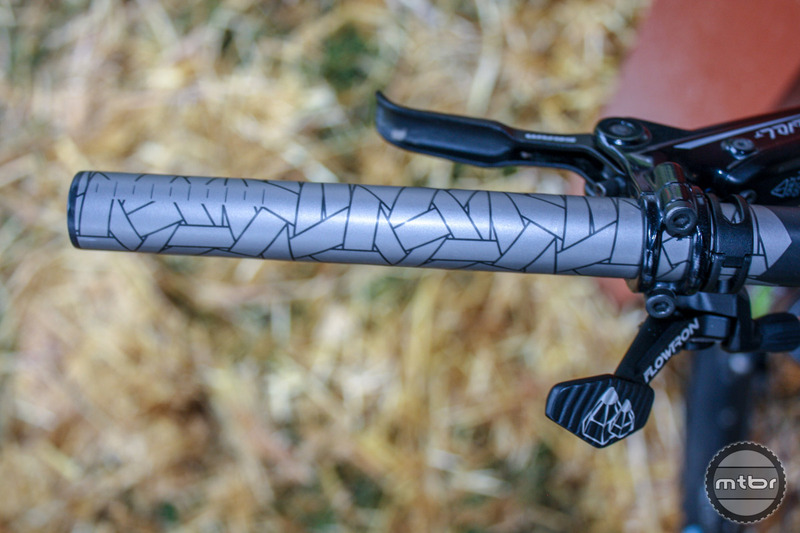 The riders view of the Salsa Salt Flat carbon bar. 750mm is a lot of bar but you can trim it down no problem; just stay in the lines. The geometric graphic styling is cool and subdued enough to match any bike manufacturer or component. 31.8 only. No 35 for anyone interested. As expected, if you’re looking for long-range comfort you wouldn’t want 35.